 "Comprised of Mike Moore (vocals & guitar), Jeff Badolato (bass), John Santarelli (drums), and Andrew Blowen (keyboards), Exeter, New Hampshire's own indie rock outlet, Fire in the Field , have been well at the local scene for a good five years or so now, with records of their having been in operation since 2009 according to their official Facebook page. 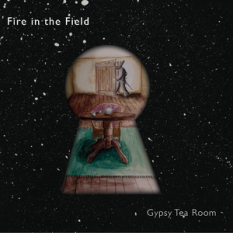 It's in 2014, though, that the band reaches their next humongous milestone: landing a debut album recorded and mastered in a professional studio: the distinctively titled Gypsy Tea Room . With special thanks to Joel Spielman of EMC Music Group and Creative Spotlights, I've managed to give a few good hearty listens to the album thus far and can say that, without a doubt, it's something special that is representative of a certain magic we've been missing on the main rock scene for quite some time. Gypsy Tea Room does impeccably well in establishing Fire in the Field as nothing short of a band of four fellows each sunken head-deep into pure, blues-drenched rock and roll hearkening back to the era of the Rolling Stones and Cream in pure unapologetic form. All of these above facts become well-established within the opening moments of Gypsy Tea Room, inundated by an infectious "down on the bayou" set of slow-building, grooving musical flourishes and overall delivery that wouldn't be out of place on the finest John Mayall outfit. Everything about this band and their debut album harks back to a legendary era of classic rock and roll that is done-up in a surprisingly genuine flair -- guitar solos are back, everyone, and they're the real McCoy through and through with this group! Aside from said opening track, "Ferryboat River Ride", other standout tracks upon first listen include "Suzie" with its raw unadulterated grit and surprising Mediterranean twists, "Stone Hearted Creature" for its steel-nerved tenacity, and the eponymous "Gypsy Tea Room" in all of its 14 minutes and 29 seconds of eclectic jam band-y glory.